It's time for the next part in our monthly brag series! ;) I love when I am able to brag on and on about our fabulous couples and all the places their gorgeous weddings have been published. Our couples are THE BEST, and planning their weddings is such an honor. We think every single one of our weddings is unique, gorgeous, and publish-worthy, so it thrills us to see them on the web and in print! I've written about several places we've been featured in parts one, two and three of this series. Here are five more places where our weddings have been showcased! The Venue Report has shown us TONS of love over the past couple of years. 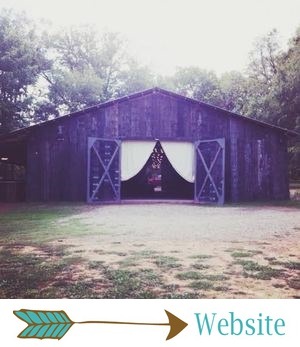 We're a Venue Report Founding Member, and they listed us as the #2 barn wedding venue in the U.S. in this roundup (yup, we totally freaked out)! They also recently featured Samantha + Danny's wedding, which is still one of our faves! We LOVE The Venue Report. They're the best of the best, so it's a pretty big deal when they think you're awesome! We've had several weddings (including my own! ), engagements, and styled shoots featured on the Weddings in Arkansas website, as well as in the pages of their magazine. They have been one of our biggest supporters since The Barn's earliest days, and we're so thankful! It's always an honor to be featured alongside Arkansas's most amazing wedding vendors, in one of our state's own wedding publications! We always get excited to be featured by these fabulous folks! This one is a little different... The ladies over at Glitter magazine asked us to contribute to their amazing, inspiring #SelfLoveCampaign! They asked each member of our team to describe what self love means to them. I loved reading everyone's answers, and we LOVELOVELOVE this campaign! Glitter mag is always so supportive of us, and we adore them! We're one of Ruffled's Blue Label Vendors, which is pretty darn exciting! They hit the nail on the head with their description of us: "If saying your vows in rustic romance is your dream, they have a beautiful ceremony site that you will adore. Looking for something a little unconventional? Let the design team at Twin Oaks Ranch come up with something unique and fitting to your style." Thanks, Ruffled! Bridal Guide has shown us some love several times, and when this photo popped up on my Facebook newsfeed this week, I was delighted! We thought Emily + Casey's bridal party was one of the prettiest EVER, and it was super exciting to find out that Bridal Guide, one of the biggest bridal magazines out there, thought so too!